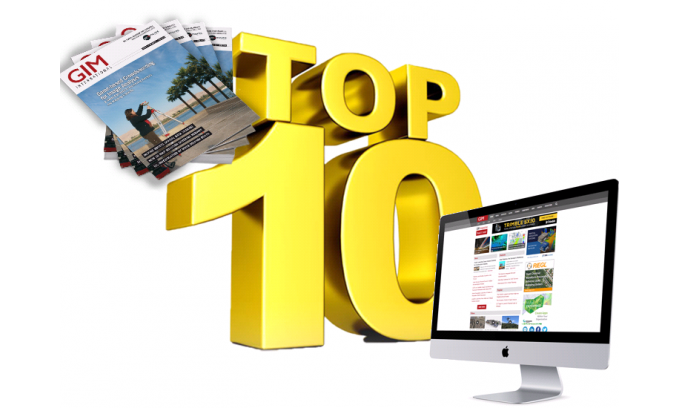 We are revealing the ten most read articles on GIM International this year! We did not tweak anything: this is what it is! So this list probably gives you a good indication on what is hot in the geomatics industry. Lidar, UAVs, 3D, Geo-IT and the processing of large amounts of geospatial data appear to be the key topics in our field as of 2016. Let’s see what next year will bring! For now: enjoy looking back at the trends and developments of the past year, and get a good insight into the state of today’s surveying profession. The race between data production and processing capacity has been going on for many decades, with data production usually on the winning team. This is also true for airborne and space-borne imagery, as the amount of images captured by satellite sensors and aerial cameras is growing not only steadily but also rapidly. How can the abundance of pixels be processed into photogrammetric products quickly and effectively? The answer lies in parallel computing. Today, computer clusters enable fast and affordable processing of photogrammetric tasks. Read on to learn how parallelism speeds up the creation of seamless orthomosaics. Airborne laser scanning (ALS) offers a range of opportunities for mapping and change detection. However, due to the large costs typically associated with traditional ALS, multi-temporal laser surveys are still rarely studied and applied. Unmanned aerial systems (UASs) offer new ways to perform laser scanning surveys in a more cost-effective way, which opens doors to many new change-detection applications. What are the differences in suitability between the two main types of UAS platforms – fixed-wing systems and rotorcraft – and what is the current state of the art in UAS-compatible laser scanning systems? Read on to find out. Proponents of the new era for land administration argue that countries must explore alternatives to accelerate land administration completion. As an example, fit-for-purpose land administration is based on the use of printed imagery, community participation and hand-drawn boundaries. Digital solutions then convert the generated analogue data into useful digital information. However, the approach is manually intensive, and simple automation processes are continually being sought to cut time and costs. One approach gaining traction is the idea of using image processing and machine learning techniques to automatically extract boundary features from imagery – or point cloud data – prior to even entering the field. The approach could speed up activities both in the field and in the office. Read on for insight into the ongoing developments. Mini and micro unmanned aerial vehicles (UAVs) in combination with cost-efficient and lightweight RGB cameras have become a standard tool for photogrammetric tasks. In contrast, multispectral and thermal sensors were until recently too heavy and bulky for small UAV platforms, even though their potential was demonstrated almost a decade ago. Nowadays, however, lightweight multispectral and thermal sensors on small UAVs are commercially available. Read more about their capabilities for use in precision farming and heat mapping.